Made in Global has released its stunning new San Telmo backpack. The bag, which is crafted in the Italian city of Florence, has been designed with both utility and luxury in mind, with a premium full-grain Italian leather and silver detailing construction. The San Telmo's streamlined tan-hued leather body is equipped with a brace of wide shoulder straps, a breathable nylon back panel, zipped internal and external pockets, and a carry handle also. Dimensions sit at 41x31x14 cm (HWD), which means the San Telmo backpack is capable of carrying a 15-inch laptop, as well as any tablets, portable consoles, and mobile devices too in its roomy interior. Made in Global has excellent pedigree in creating backpacks, bags, and holdalls, with minimalist designs and contemporary silhouettes its calling card. Here at T3 we also appreciate its penchant for refined, understated colour palettes, which is something once more evident here in the San Telmo. 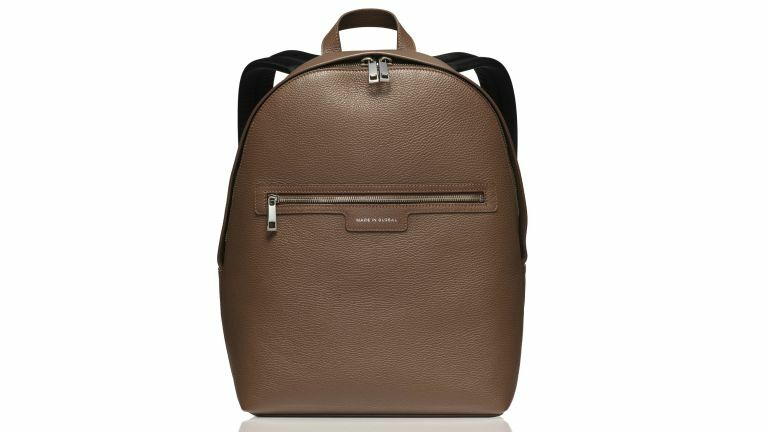 The bag is also beautifully unisex in its appearance and, if you take advantage of a deal Made in Global is currently running that knocks 20 per cent off its price with the code T3SPECIAL20, you can pick one up for just £316, rather than the regular £395. We think that is truly excellent value for money considering the premium build components and craftsmanship on display. Just remember to use the discount code T3SPECIAL20 at checkout. Get more information about the San Telmo backpack.